In honor of Veterans Day (I’m a proud sister of one, thank you very much) I want to highlight not only a phenomenal woman, but an inspiring Army vet–who still wears the leave no comrade behind mantra on her sleeve even when it’s not a camouflaged one. Chi-town native and 15 year army vet, Jaspen Boothe, founded Final Salute Inc., an org dedicated to providing homeless women vets with shelter, employment, business clothes, and financial literacy courses to get them back on their feet. A position Jas was forced in when she lost everything during Hurricane Katrina. Followed by a grim cancer diagnosis that was close to getting her discharged from the Army. 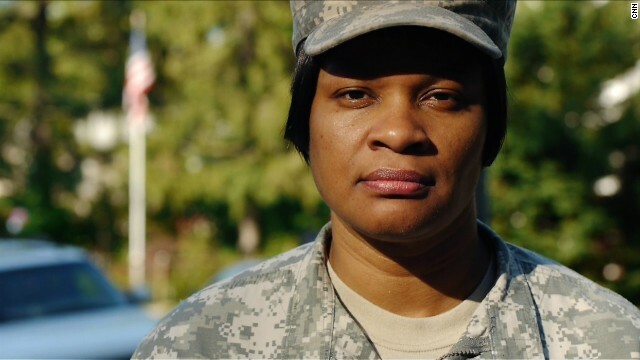 With no home, job or health care to depend on she turned to her Hoo-rah brothers for help. Uncle Sam told her welfare was a more viable option because there were no social service programs for female vets with children. Jas changed that in 2010–five years shy of becoming cancer free and regaining a position in the armed services–by developing a very valuable resource for her sister veterans. Accepting an award from the American Veterans Center, Jas explained the importance of her organization. According to the org’s site, Final Salute has assisted over 900 women and children across the country. Generous donations of $25 or more provide food and clothes to female vets in need (hint hint). For those wiling to help click here. I took an oath to never leave a fallen comrade behind. Final Salute is my commitment to that oath.